Vert Rotors, the global specialist in micro-compressor technology, has announced the launch of the Vert.80, the second product in its pioneering range of micro-compressors. Vert.80 is a powerful but very portable compressor for on-demand clean air. Being small and mobile, it solves the problem of getting oil-free air where and when it is needed, while reducing environmental impact. Half the size and 34% more energy efficient than comparable compressors Vert.80 uses water injection instead of machine oil, eliminating risk of contamination and making it suitable for sterile environments. The eco-friendly compressor produces 42% more air for 13% more electric power. To achieve the exceptional tolerances demanded, Vert Rotors keep the full design and production cycle in-house. 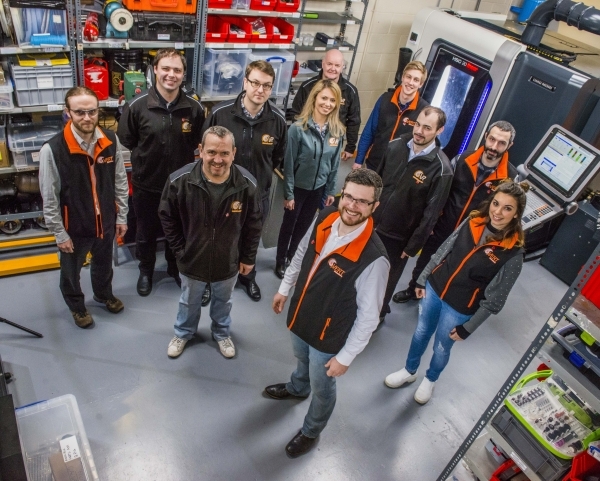 With a small team of highly experienced and skilled engineers they are re-defining the boundaries of precision engineering. Clean air compressors have always been large, needing their own plant room and expensive, inefficient connections as Olly Dmitriev, CEO at Vert Rotors, explains: “Our ultimate goal was to create a clean air compressor 2.0, able to produce clean air at its point of use. This was not possible with existing technology. And so, we had to come up with a totally new design and mathematical model to create the first compressor of its kind. The Vert.80 is a paradigm shift for the compressor industry. By using our unique design we can deliver flow and pressure performance never before achieved by such a small machine. 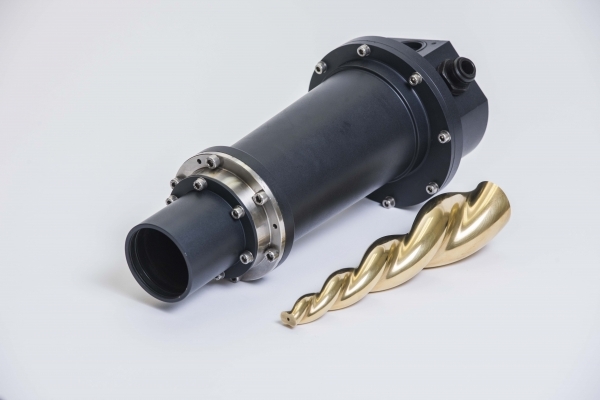 Vert’s proprietary technology – the rotary conical screw design – minimises noise and vibration while delivering massive energy and cost savings. The result of five years intense research and development, their extraordinary breakthroughs in compressor technology has enabled Vert to develop the ultra-efficient air compressor. Air compressors are used in all sectors but there is a critical requirement for oil-free air in sterile environments including aerospace, medical theatres, dental surgeries, pharmaceutical labs and food production plants. Oil is the most efficient lubricant needed for compressors to operate at maximum efficiency, however oil particles can contaminate the air produced. Water is the obvious alternative, but compact water-injected compressors were not available. From the initial mathematics, through CAD and CAM to production, testing, verification and improvement, Vert controls design and production onsite. All parts are bespoke and manufactured using simultaneous machine milling on five axes and five planes with precision probe measurements taken at 400 touch points on a 40mm screw.